The Locksmith and Security Professional - Providing the Key to Security Solutions with Integrity and Pride! 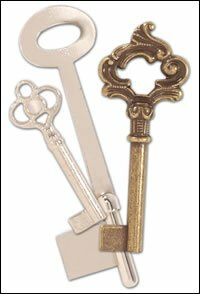 Elite Lock & Key, Inc. provides personalized, professional locksmith products and services to homeowners, business owners, management companies and other companies throughout the Chicagoland area. We provide residential, commercial, and industrial lock service including cylinder changes, lock rekeying, emergency lock-out service and much more. Elite Lock & Key, Inc. has served the following communities for more than thirty years: Schaumburg, Hoffman Estates, Streamwood, Elgin, East Dundee, West Dundee, Sleepy Hollow, Carpentersville, Algonquin, Barrington, South Barrington, Inverness, Deer Park, Lake Zurich, Kildeer, Long Grove, Palatine, Buffalo Grove, Wheeling, Prospect Heights, Arlington Heights, Mount Prospect, Rolling Meadows, Des Plaines, Elk Grove Village, Bensenville, Wood Dale, Elmhurst, Villa Park, Oakbrook Terrace, Lombard, Addison, Itasca, Glen Ellyn, Wheaton, Warrenville, Winfield, Glendale Heights, Carol Stream, Bloomingdale, Roselle, Hanover Park, Bartlett, Wayne, St. Charles, West Chicago, Batavia, Geneva, South Elgin and more!